Our iRas service will make handling rate decks so easy, that you’ll be able to increase your vendor supply chain by an order of magnitude. That will help improve your delivered quality, lower your termination costs, and create new opportunities for your business. The GCS iRAS service is a powerful new tool set. It is web based, requires no software in your infrastructure, and is available to both GCS and non-GCS customers. It will work with your existing solution, so no upgrades, and no retooling of your OSS & BSS. 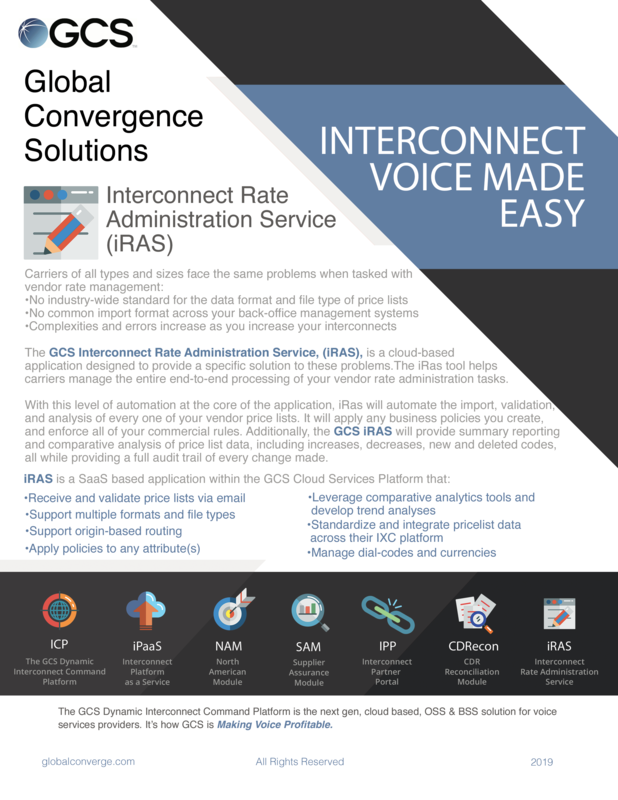 We do the work for you and make it just a little bit easier to manage your interconnect voice operations/business.